Ramon Morató believes that there is an opportunity for artisans to make handmade chocolate spreads with an added value, with high quality ingredients and combining products, aromas, and more creative inspirations. A great example is Italy, specifically in the north of the country where historically there is an extraordinary culture of spreadable creams that are part of the daily assortment of pastry and chocolate shops. 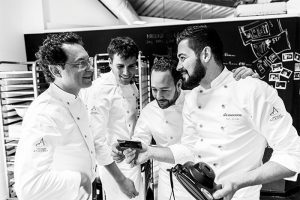 In Four in One, a book he has written along with Josep Maria Ribé, Miquel Guarro and Raúl Bernal, the Catalan chef details the basic ingredients and the manufacturing process (manual and machine) of fat-based spreads, as well as offering three essential recipes. The basic principle of a chocolate spread is to replace total or partially the cocoa butter present in chocolate by one or different liquid or creamy fats so as to obtain a flexible, spreadable texture. There is a large range of spreads, for all kind of uses – filling, coating, baking, etc. On this occasion, we will focus on chocolate spreads to be consumed directly. 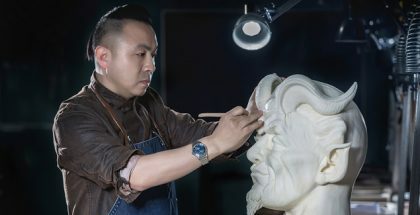 Generally, the required texture should be that of a flexible product which is easily spread on the bread, viennoiseries, or any solid surface like a cookie. We will focus on fat-based spreads. In the case of the water-based spreads, before packing them in sealed jars for their sale, it is essential to warranty the stability of the product with the pass of time. For that reason, it is necessary to control the Aw values, microbiology and, sometimes, during the production processes, to sterilize the product in order to avoid contaminations. Chocolate spreads are common products in our breakfasts. They are easily found in big shopping areas and somehow they have turned into ordinary products, with very little gastronomic interest for the consumers. Until not long ago, it was very difficult for the artisan to have an access to the technology needed to make spreads in small quantities. Nowadays, it is possible to find small refining machines or ball mills to make small amounts. In this section, I propose a couple of recipes of spreads made using that technology, a one ‘solution’ as an example of a spread made without the refining machine for those who do not possess one. The key is to mix a number of ingredients such as sugar, nuts (generally hazelnuts), milk powder, cocoa powder, etc. and refine them until their granulometry is reduced to values of 20-30 microns, so that the human palate does not detect that grainy sensation in the mouth. 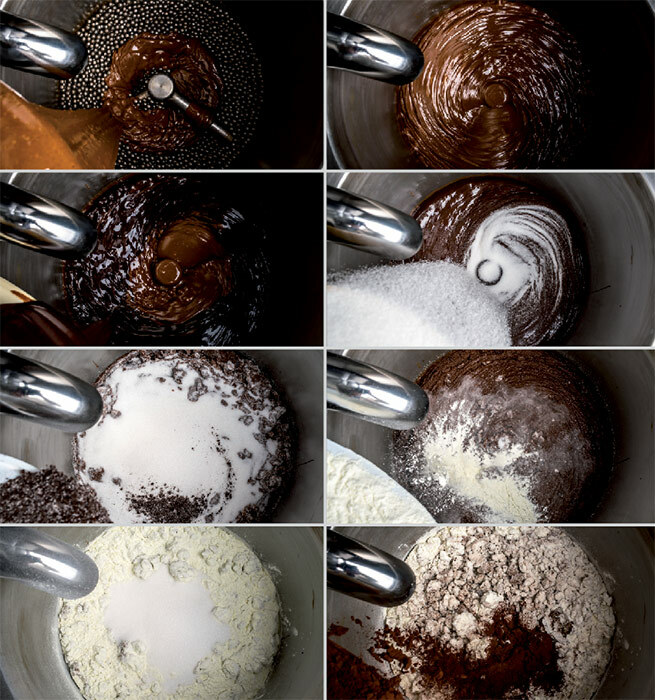 The cocoa powder provides the spread with a characteristic flavor and color, as well as a percentage of solids. We can mix natural and alkalized cocoa, or choose either of them depending on the desired flavor and color. The percentage of their use in the recipes can vary between 8 and 12% normally, except for a few extreme cases in which very dark chocolate spreads, with a strong cocoa flavor, are desired – the percentage can then be between 25 and 30%. 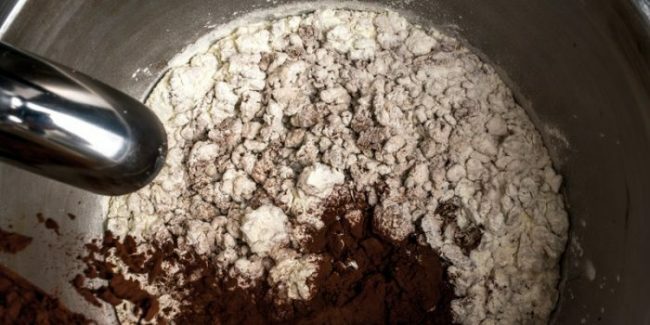 Occasionally, cocoa mass can be used, although the percentage of cocoa butter it contains must be taken into account, and also the fact that the higher the amount used is, the thicker the spread will result. In the spread sector, there is great technical knowledge of the vegetable fats. Each of them gives different characteristics in terms of final texture and melting in mouth. There are a lot of myths and reluctances regarding the use of vegetable fats due to lack of knowledge. The term ‘vegetable fat’ can lead into distrust, even when the oil that the nuts contain is fat itself. Liquid fat: Oil contained in the nuts (hazelnuts, almonds and other). Besides, we will occasionally use some neutral oils like sunflower or grape seed oil, or specific fats like liquid butter or hazelnut oils. Creamy fat: The use of creamy fats in the preparation of spreads is very interesting as they regulate the texture. Industrially, coconut or palm oils are widely used. In our case, we opt for anhydrous dairy fat (anhydrous butter). If this milk taste is not desired, there always exists the option of using deodorized anhydrous butter, very common in Italy. Thick fat: Once again, industry offers us a wide range of fats that can be used to thicken and regulate the texture of spreads. In this case, we will use either cocoa butter or cocoa mass. In general terms, the total amount of fat can be between 26 and 28%, and sometimes even 40%. 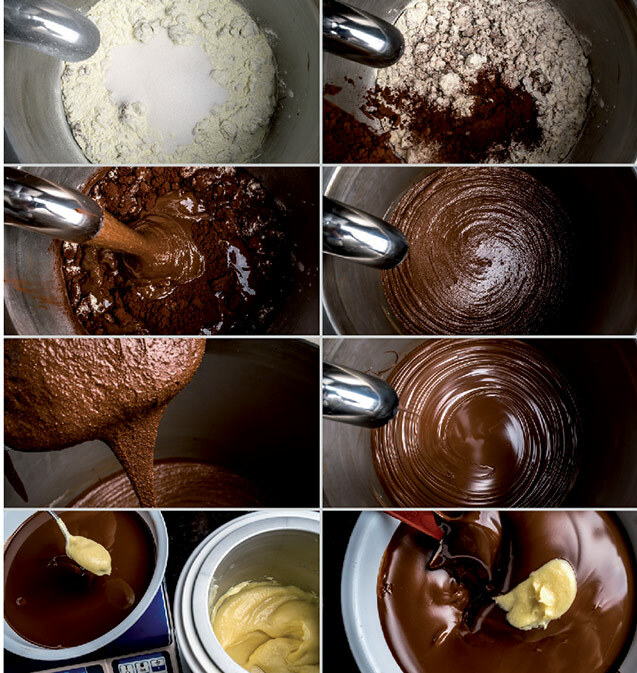 The ‘Italian-type’ chocolate spreads are worked with few fats and a lot of solids, and they result thicker, although not hard. 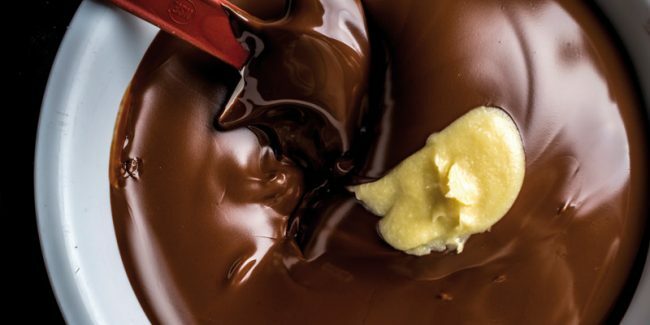 In order to make spreads with a semi-hard texture, one third of the fat contained in the recipe should be solid (cocoa butter or another solid fat). Refined cane or beet sugar is responsible for giving sweetness to the spread, as well as consistency as it works as a texturizing agent. Often, the commercialized spreads have high sugar content for market, cultural or expense purposes. We also have to bear in mind that sweetness is relative – if we use a very sweet spread on a slice of bread, the sweetness sensation with not be the same as if we use it on a sweet cookie. Therefore, the ‘base’ does play an important role, as it will increase or balance the sweetness of the spread. 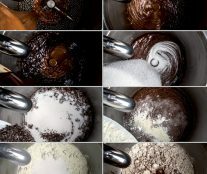 In the three recipes of chocolate spreads I propose, there are different percentages of sugar, ranging from 29 to 40%. The most common nut in these preparations is the tasted hazelnut in the shape of paste. It is important to remark that hazelnut can contain about 60% of oil, depending on the variety. This oil, being a liquid fat, will play a decisive role in the final texture of the spread. The percentage of use of nuts can range between 2% in high-consumption spreads and 20% on average, some top-end spreads reaching an extreme 50%. In some cases, the hazelnut can be incorporated in the spread through some products like caramelized nut pralines. Obviously, the hazelnut can be replaced by any other type of nut (either toasted or not), but always humidity free. They are all very different regarding flavor, but very similar in texture, as they have a high fat content which can range between 55 and 65% approximately. The fatty spreads are subject to texture changes depending on the room temperature while the product is stored. It is normal that some decantation arises with the pass of time, especially if these spreads have a high fat content. So as to prevent this kind of problems, we have to formulate the recipes with the minimum fat and maximum solid content, and we will then obtain ‘thicker’ spreads. 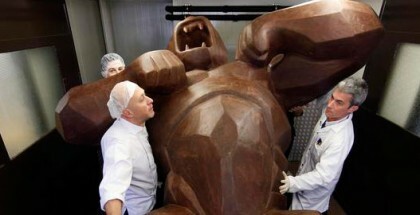 During the preparation process, the spread has to be properly pre-crystallized if it contains cocoa butter. Besides, we can ‘help’ in the stabilization of the spread by adding a small amount of bee wax or an emulsifying agent in a percentage of 0.2 to 0.5% generally. Lecithin, between 0.4 and 0.6%, will help us make the spread more fluid and improve its elasticity. Finally, this type of spreads is very sensitive to oxidation, due to the high amount of nuts, such as hazelnut. The addition of an antioxidant will delay such problem. The three recipes included in the book are different and can be used as a base to make other more personalized ones. The possibilities are endless – from replacing the classic hazelnut by other nuts (as most of then have a similar amount of oil and solids), adding different kind of salt flakes, adding spices or natural vanilla, or even, taking into account the anhydrous quality of the spread, adding some crispy elements such as cookies, cereal, puffed rice or lyophilized fruit. 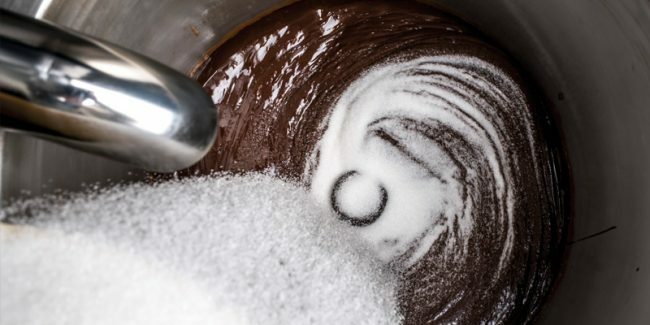 All this will help enrich and personalize our chocolate spreads. 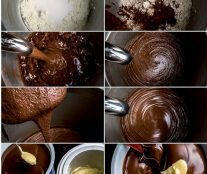 The book includes a detailed explanation of the steps to follow to make the perfect cream, both if made by hand or with a machine, with step-by-step photos, and three example recipes of chocolate spreads. Check out the detailed recipe for the Cocoa and 43% hazelnut spread, Classic cocoa and 20% hazelnut spread, and Cocoa gianduja and 52% hazelnut spread.